One Battery Park Plaza, where Hughes Hubbard Reed renewed its lease. UBS AG has signed a lease for about 120,000 square feet in 787 Seventh Ave. as part of its plan to consolidate its Midtown offices and reduce its office space in the city. The employees taking that space, mostly part of the firm’s investment banking operation, will move out of 299 Park Ave., where UBS has been renting more than 460,000 square feet, according to Karina Byrne, a spokeswoman for the firm. She says UBS is reducing its space in Midtown by about 300,000 square feet as part of its previously announced plans to consolidate and reduce head count globally. The tower at 787 Seventh Ave. was chosen partly because UBS already has a large block of space in 1285 Sixth Ave., the building next door. 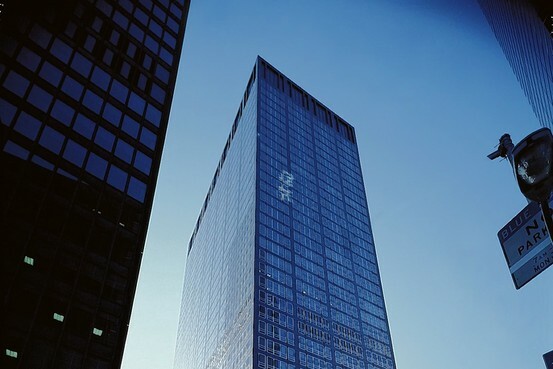 The rent was in the low $60 a square foot range for the space UBS took on lower floors and in the high $60 a square foot range for the space that UBS took on upper floors, according to Noam Shahar, research director of Compstak, a real-estate data firm. CBRE Group Inc. was the broker. Law firm Hughes Hubbard & Reed, which has been based for much of its 125-year history in downtown Manhattan, has recommitted to the area for another 20 years by renewing its lease at One Battery Park Plaza. The firm, which employs about 800 people in New York, has leased about 226,500 square feet in the 36-story building owned by the Rudin family. The firm considered other locations but liked the building, particularly its sweeping views of New York Harbor. “Downtown is very much in our blood,” says Candace Beinecke, the chairwoman of the firm. The Rudin family originally developed the 875,000-square-foot building with the Rose family, according to William Rudin, chief executive of Rudin Management Co. Two years ago, the Rudins purchased the Rose’s 50% stake, he says. At that time, it wasn’t clear whether Hughes Hubbard would stay or go, but Mr. Rudin says he was confident the firm would renew or he would find a new tenant. “We were never concerned about filling the space,” he says. Mr. Rudin says One Battery Park Plaza escaped practically unscathed during superstorm Sandy because it is on a higher elevation than many of the buildings that were hit harder. The property was only closed for about one week because power couldn’t be delivered by Con Ed, he says. Newmark Grubb Knight Frank represented Hughes Hubbard in the deal. CompStak featured in The News Funnel's Blog, Funnel Cast!